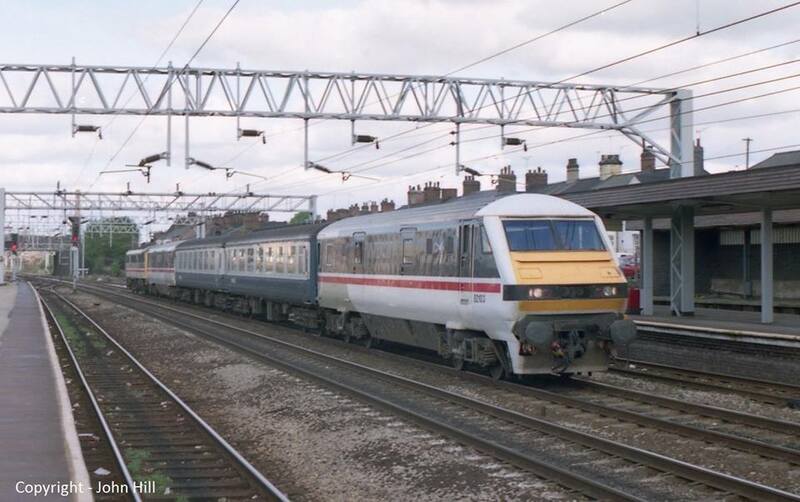 Hiya people, I was just thinking about this and it came to my mind that in the 80's, 90's and early 2000's, MK2 coaches operated with the MK3 DVT on WCML services and would it be a simple little modification to allow for this please? This is actually quite straightforward, and is accurate to reality, so I have implemented this change, which should be available from the next nightly pakset build. This change is implemented, however its only the MK2D brake carriages which can work with the MK3 DVT when the first class, standard and buffet coaches worked with the MK3 DVT. Interesting - was this a scheduled working? Further research says that the picture was of a TDM test train. The constraints need to be added to the Mk. 2 .dats. James, should I do it or can you manage? My apologies: I had not spotted that some of these carriages had constraints. Now fixed. Sorry for the bother again, but however I tried to make a MK2 convoy today and I cant seams to add the MK3 dvt onto the convoy after the first class coach has been added. Also for notetaking speaking of MK3 DVT's, they were intro-ed in May 1988. As well as that MK3 coaches can work with MK2 coaches as seen in this video. I have modified the Mk. 2D and Mk. 3A carriages to be able to couple with one another and have fixed the omission of the constraint on the Mk. 2D TFO. I have also modified the introduction date of the Mk. 3 DVT.